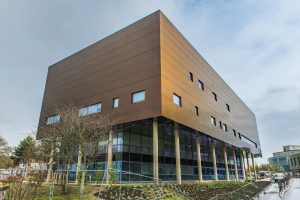 Thanks to overwhelming support we have raised £25m to open our state-of-the-art Centre for Cancer Immunology. Our new world-leading Centre, the first of its kind in the UK, opened this spring. We have created a building equipped to the highest specification to accelerate our life-saving research. But it doesn’t end there. We now need to support our talented researchers in the continued fight against cancer and have set up the Cancer Immunology Talent Fund. One mission. Three ways to support a team that beats cancer. There’s a shortage of senior immunologists working in cancer research, according to the UK’s largest cancer charity, Cancer Research UK. Despite the need, there is no dedicated programme to train the next generation of cancer immunologists. Until now. Our integrated PhD in Cancer immunology will be the first in the UK to tackle a disease that cruelly affects so many people. We plan to grow a highly trained workforce at our world-leading Centre, working on projects under the supervision of globally recognised research leaders. In short, your donations will help us build the capacity we need to accelerate our ability to tackle cancer and train the next generation of cancer immunologists. 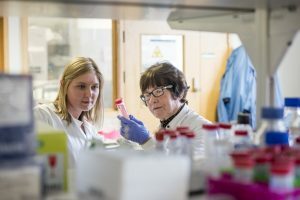 We’re recruiting a broad range of vital positions, to create a 200-strong team that brings together all the different research bases across the University. And to accelerate this progress, we need to attract global talent with the brightest minds and deepest experience who will allow us to add to our existing world class team and increase our research knowledge and capacity. We need to build a diverse team, including roles ranging from clinical immunologists to bio-informaticians – reflecting the evolving landscape of research. Your support will ensure the very best talent will take forward this lifesaving research. 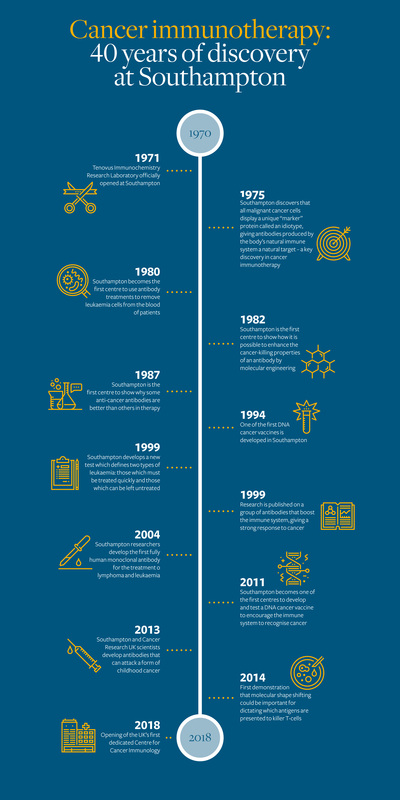 Some of the most important breakthroughs in science are made when different research disciplines work together. That’s why we’ve created an Innovation Residency Programme that brings together talent from across the University in a dedicated space in our Centre. 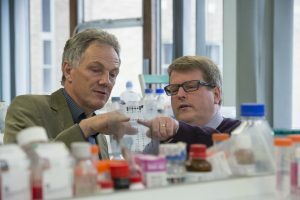 Collaboration between our researchers in chemistry, mathematics, electronics and computer sciences, engineering, physics and health sciences and our cancer immunologists will bring new expertise, ideas, connections and resources to the challenge of beating cancer. Historically, our campus has been spread out geographically, making interdisciplinary collaboration harder. Your donations will enable a rolling programme of temporary residences, and accelerate our lifesaving work, so we can deliver more cures to patients. Evidence proves that physical proximity drives collaboration between researchers and that collaborations across traditional disciplinary boundaries are more productive.